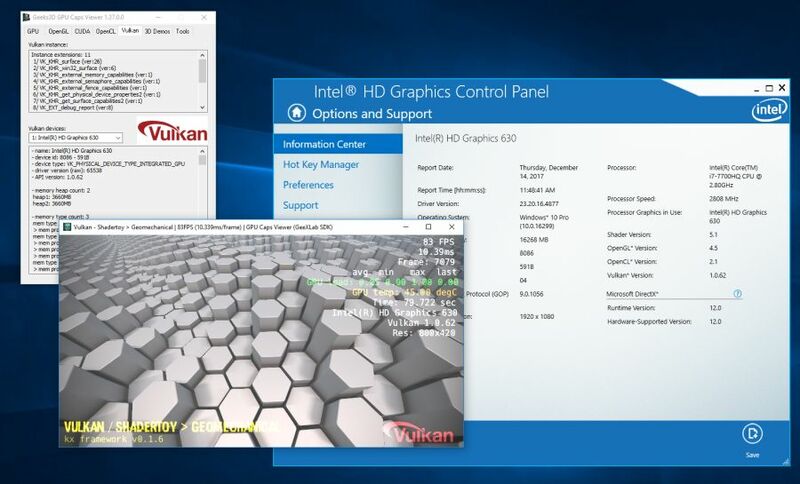 – Improvements in the Intel® Media SDK (MSDK), leading to better encoding quality across dependent media apps such as PowerDirector*, MAGIX*, etc. 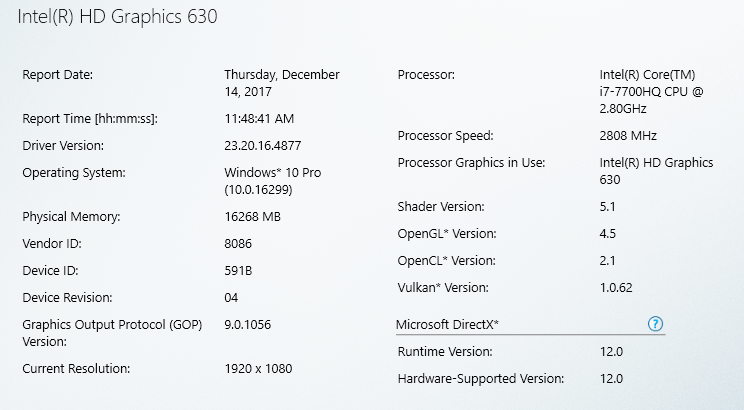 I tested this driver on my notebook (GeForce GTX 1050 + Intel HD 630). 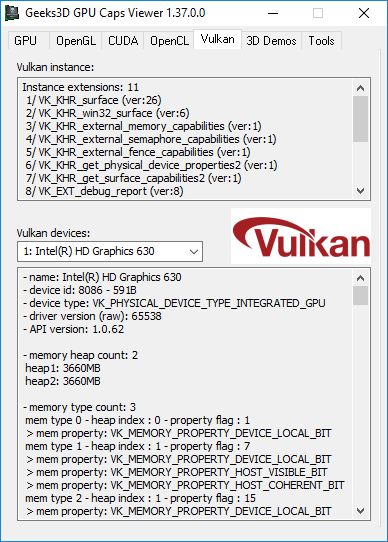 The v4877 exposes OpenGL 4.5 with 243 OpenGL extensions and exposes Vulkan 1.0.62 API. GL_ARB_polygon_offset_clamp is a new extension introduced with OpenGL 4.6. Nice news!